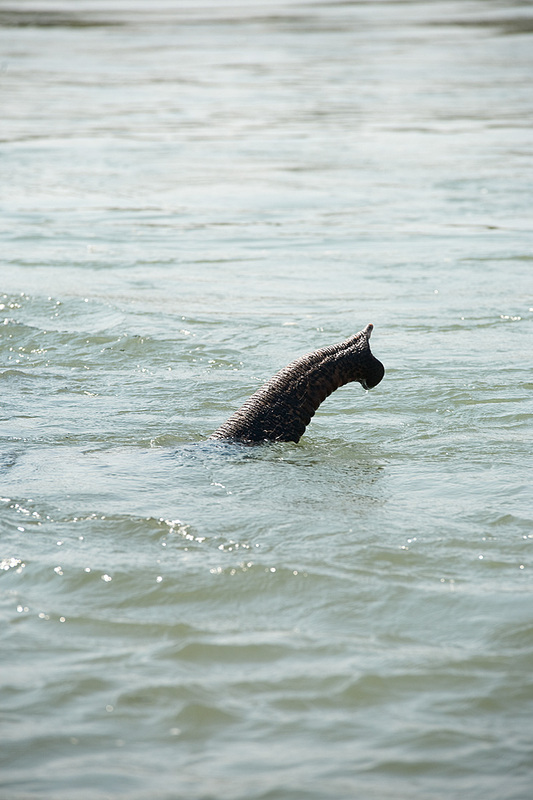 An submerged elephant crosses the river at Chitwan National Park. What is kind of underwater is that? But this one is very nice.